Treatment selection is based on accurate staging. 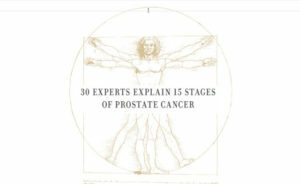 Prostate cancer naturally divides into five major stages and each with three sub-stages. Each major stage is assigned a different Shade of Blue—Sky, Teal, Azure, Indigo or Royal. Patients frequently ask their physicians, “Am I stage A, B, C or D,” without realizing that the original purpose of a lettering system was simply to provide a clinical stage that could guide urologists in the selection of candidates for surgery. While clinical stage matters, a combination of PSA level, clinical stage plus the Gleason grade is a better way to assess disease status. 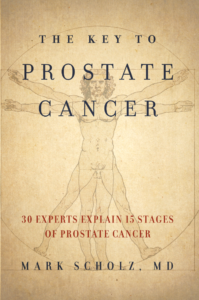 So rather than using clinical stage alone, it’s best to incorporate all three factors together—PSA, Gleason and stage—to break prostate cancer down into five broad categories called the STAGES OF BLUE. Take this free, short online quiz and find more about your stage. No personal data is kept once your quiz is completed. 1. Have you had treatment (surgery, radiation, cryotherapy, or other) for prostate cancer and now have persistent cancer or a rising PSA? 2. Do you have a pathology report or a Bone, PET, CT or MRI scan that shows any bone metastases or metastases in lymph nodes that are located outside the pelvis area of the body?